Available to view on demand . This webinar will provide insights into the achievements of our winner of the RegMedNet Award for Cultivating Excellence, as chosen by our panel of international judges. Regenerative medicine is a rapidly growing field with the potential to improve lives all over the world. 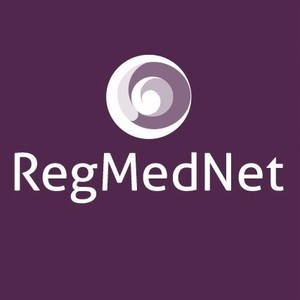 At RegMedNet, we know that the most valuable players in regenerative medicine aren't always those we see in the news. As well as ground-breaking research and award-winning facilities, we wanted to recognize achievement in other areas, such as career development and scientific outreach. We are pleased to announce that the winner of the RegMedNet Award for Cultivating Excellence, as chosen by our panel of international judges, is Cells for Sight, University College London (UCL, UK), led by Professor Julie T Daniels. This webinar, presented by Professor Daniels, will provide insights into the achievements of our winning lab. Discover more about the aims and achievements of Cells for Sight and how lab members are supported in career development and continuing education. Julie obtained her first degree in Microbiology and her PhD in tissue engineering from the University of Leeds, UK. She has worked at the Yorkshire Regional Tissue Bank where she produced cultured keratinocytes for burns victims and leg ulcer patients. She joined the Institute of Ophthalmology, UCL in 1996. Julie is now Professor of Regenerative Medicine and Cellular Therapy at the Institute and her group is aiming to understand the biology and therapeutic potential of stem cells. She is also the Director of the Cells for Sight Cell Therapy Research Unit, which is currently delivering stem cell therapy to patients with blinding ocular surface and retinal disease.